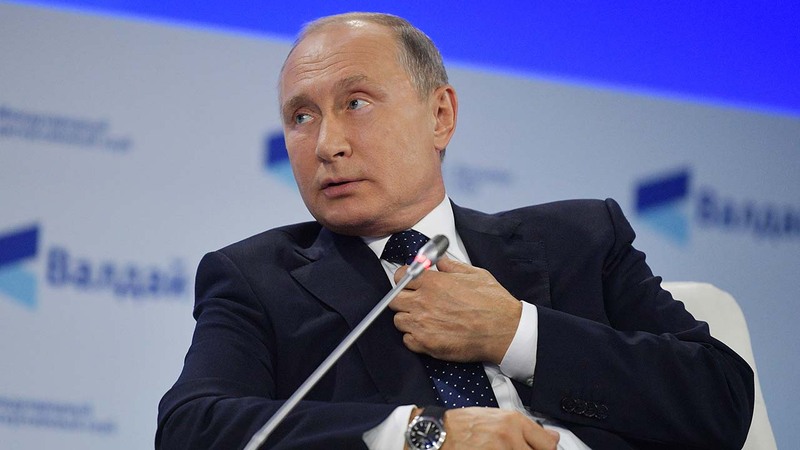 Russian President Vladimir Putin on Thursday said the citizens of many former Soviet Republics regretted the collapse of the USSR, which he described as a “great state”. People in the former republics “interpret it in their own way, but all the same they believe that life in the Soviet Union was more secure, calmer, they felt surer of themselves,” he told a forum in the Russian city of Sochi. “There were more opportunities in one great, united, powerful state,” he said. Former republic Georgia fought a war with its former master Moscow in 2008 over breakaway regions, while the Baltic States have gone to lengths to remove traces of their Soviet past. A conflict in eastern Ukraine in which more than 10,000 people have lost their lives has been ongoing for the last four years, as Kiev struggles to pull itself out of Russia’s orbit. Belarus as well as the Central Asian republics remain closer to Moscow. Putin has spoken many times in the past in the past about his own regret over the break-up of the Soviet Union in the 1990s, infamously describing it as “the greatest geopolitical disaster of the 20th century”.